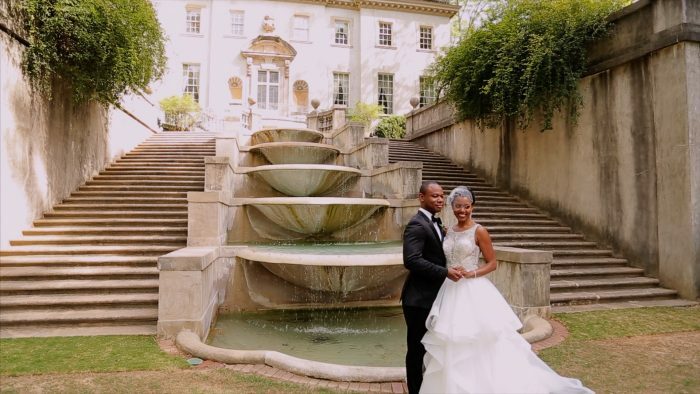 This Atlanta History Center wedding was straight out of a storybook. Both Asia and Ansu look amazing all dressed up. Before the ceremony started, I knew the day was going to be great all-around! And it certainly didn’t hurt that they were getting married at the Atlanta History Center in front of the Swan House. Working again with the talented Craig Obrist and his wife Unchong was great. We hadn’t worked together in a couple years, so it was good to reunite with them. Enjoy the couple’s Coming Soon Trailer!